This list provides undergrad-level internships/fellowships located in the US that deal with machine learning, multi-agent systems, computational biology, natural language processing, big data, robotics, cognitive computing, logic programming, computational linguistics, deep learning, artificial intelligence, etc., or a mix of those topics. Internship listings assume applicant knows English and has a high school/GED diploma. Companies/organizations are listed with links to company websites. Individual internships are listed with links to the internship listing. If any links are broken/outdated, please let me know so I can correct them. Anyone is welcome to contact me (or comment) and add on to this list. Originally created September 14, 2014. Last updated November 11th, 2017. The Center For Visual Science at University of Rochester was founded in 1963 by Robert M. Boynton to bring together scientists from a variety of disciplines with the common goal of pursuing excellence in vision research. Fusemachines combines the power of Data Science, Artificial Intelligence and Natural Language Processing to build unique software robots that can automate customer interactions and provide deep real time insights into customer behaviour. Gridspace is a technology company that makes advanced sensor systems for businesses. The International Business Machines Corporation (IBM) is an American multinational technology and consulting corporation that manufactures and markets computer hardware and software, and offers infrastructure, hosting and consulting services in areas ranging from mainframe computers to nanotechnology. The Robot Company: iRobot designs and builds robots that make a difference. MIRI exists to ensure that the creation of smarter-than-human intelligence has a positive impact. 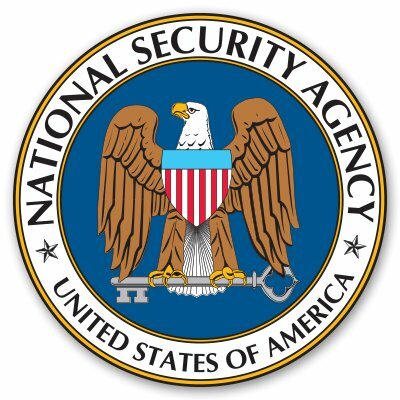 The National Security Agency/Central Security Service (NSA/CSS) is home to America’s codemakers and codebreakers. Numenta has developed a cohesive theory, core software technology, and numerous applications all based on principles of the neocortex. Using data science algorithms, Predikt aggregates and quantifies your professional data spread across the web, including your resume. Riverside Research is an independent, not-for-profit organization chartered to advance scientific research in the public interest and in support of the United States government. Via Science uses the latest in mathematics and massively parallel computing power to create software models that help clients make predictions, discover cause and effect and determine the optimal set of conditions to shape the future in their favor. Vicarious is building a unified algorithmic architecture to achieve human-level intelligence in vision, language, and motor control. There are so many companies out there now! You just have to look for them. Or not. 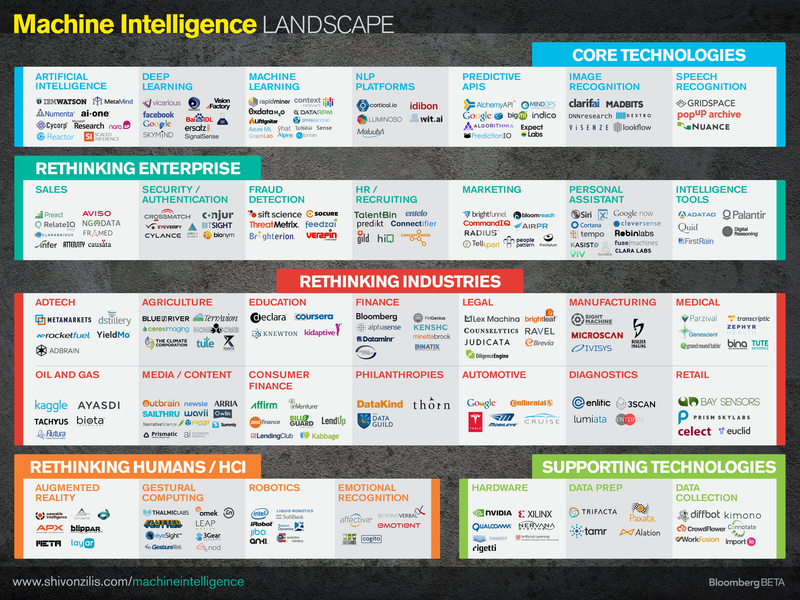 Check out this awesome infographic that Shivon Zilis made to showcase the ‘Machine Intelligence Landscape’. Brilliant! There aren’t many internships that deal with A.I in the first place (and therefore, not many extensive lists either) so I figured this might prove useful to other people as well as myself.